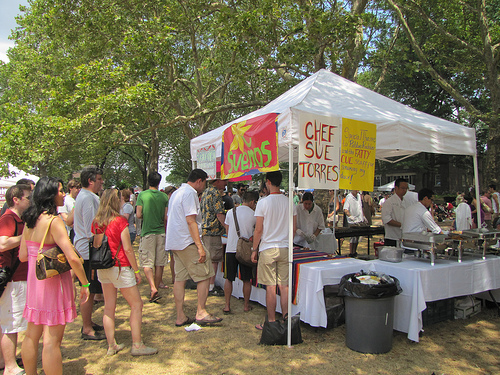 This Memorial Day weekend marks the first event of the year on Governors Island’s historic Colonel’s Row: The 5 Boro PicNYC. Organized by our friends at Food Karma Projects, the two-day festival looks to be tasty and fun — and jam-packed with plenty of beer. 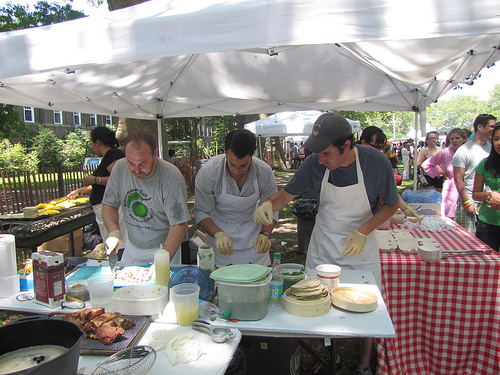 While we’re looking forward to all the food and events taking place both days, including a grilled cheese cook-off and a taco challenge hosted by Slow Food NYC, we’re thrilled to be bringing all the beer. Grab a cold one of Sweet Action, Bengali Tiger, The Crisp, Righteous Ale or Brownstone Ale on draught. We’re also bringing a more rare gem from Red Hook: our malty, Irish-style Redd Ale. All beers will be $6, or $20 for four of them so you can sample your way through them with friends. Providing some of the culinary pairings to go with them include newcomer restaurants to the island’s festivals, like Alobar, Peels and Carlton Park, and old standbys like Jimmy’s No. 43. Fossil Farms will be showcasing exotic game sausages at their stand, and thanks to a smattering of local hot sauce vendors there will be a “hot sauce and blues” music jam on the stage. A whole day’s worth of bluesy music performances will be taking place each day of the fest, too. So grab your tickets and get on board!